Phi Iota Alpha fraternity was founded in 1931. The organization is known as one of the oldest Latino fraternities. Phi Iota Alpha fraternity motivates its members to develop their leadership skills and appreciate innovative ways of uniting the Latino community. The Phi Iota Alpha fraternity has a rich and interesting history that dates back to the end of 19-th century. Phi Iota Alpha is known as the first US Latino student fraternity. The members of organization are men of different races and national origins. The fraternity provides cultural programs and activities intended to promote Latin American culture. 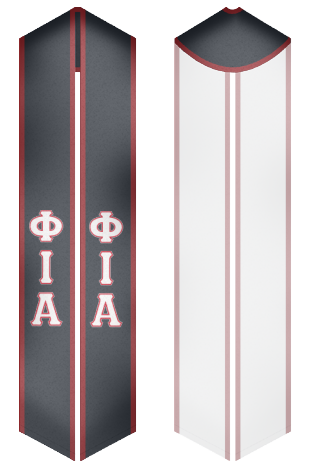 Our online store offers a great deal of sashes for events, which are held by Phi Iota Alpha fraternity.